The Report on the Subject of Manufactures, generally referred to by its shortened title Report on Manufactures, is the third major report, and magnum opus, of American founding father and first U.S. Treasury Secretary Alexander Hamilton. It was presented to Congress on December 5, 1791. It laid forth economic principles rooted in both the Mercantilist system of Elizabeth I's England and the practices of Jean-Baptiste Colbert of France. The principal ideas of the Report would later be incorporated into the "American System" program by Senator Henry Clay of Kentucky and his Whig Party. Abraham Lincoln, who called himself a "Henry Clay tariff Whig" during his early years, would later make the principles cornerstones, together with opposition to the institution and expansion of slavery, of the fledgling Republican Party. Hamilton's ideas formed the basis for the American School of economics. 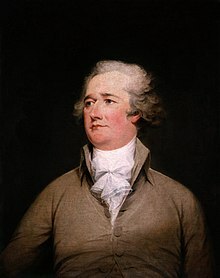 Hamilton reasoned that to secure American independence, the United States needed to have a sound policy of encouraging the growth of manufacturing and ensure its future as a permanent feature of the economic system of the nation. He argued these could be achieved through bounties or subsidies to industry, regulation of trade with moderate tariffs (not intended to discourage imports but to raise revenue to support American manufacturing through subsidy), and other government encouragement. These policies would not only promote the growth of manufacturing but provide diversified employment opportunities and promoted immigration into the young United States. They would also expand the applications of technology and science for all quarters of the economy, including agriculture. Though Congress refused to accept Hamilton's proposals in 1791, due to opposition from James Madison and his supporters, much of Hamilton's third report would later be adopted by the United States Congress despite continued opposition to the support of industry through subsidy. Both sides agreed that manufacturing independence was desirable and necessary but disagreed on how to obtain it. The Jeffersonian Democratic-Republican Party's main objection to subsidy was their fear that subsidy would lead to corruption and favoritism of certain sections of the new nation over others; namely the north over the agrarian south. This divide (north vs. south) would come up again and again in issues of economic policy until the outbreak of the American Civil War. It is often thought that Hamilton's report was completely ignored, but in fact "Hamilton worked to ensure that Congress enacted virtually every tariff recommendation in the report within five months of its delivery." Hamilton's revenue-based trade policy, with its more moderate tariffs, meant that, by 1794, manufacturers had switched their support from the Federalists to the Republicans. Leading opponents of Alexander Hamilton's economic plan included Thomas Jefferson (until later years) and James Madison, who were opposed to the use of subsidy to industry along with most of their fledgling Democratic-Republican Party. Instead of bounties they reasoned in favor of high tariffs and restrictions on imports to increase manufacturing; which was favored by the manufacturers themselves who desired protection of their home market. Although the Jeffersonian stance originally favored an "agrarian" economy of farmers, this changed over time to encompass many of Hamilton's original ideas, while "the Madison administration helped give rise to the first truly protectionist tariff in U.S. history." ^ Irwin 2004, pp. 801–2. "Although the report is often associated with protectionist trade policies, Hamilton's proposed tariffs were quite modest, particularly in light of later experience [i.e. compared to import duties of the nineteenth century]". ^ Nelson 1979, p. 977. "By the end of 1793 Hamilton's pro-importer political economy was driving manufacturers from Boston to Charleston into opposition to the Federalists". ^ Irwin 2004, pp. 819–20. "The tumultuous experience of dealing with British trade policies after independence had transformed Jefferson from someone who had written in 1785 that farmers were 'the chosen people of God' and had pleaded 'let our workshops remain in Europe' to conceding in 1816 that 'we must now place the manufacturer by the side of the agriculturalist.' 'Within the thirty years that have elapsed, how are circumstances changed!' Jefferson wrote. "[E]xperience has taught me that manufactures are now as necessary to our independence as to our comfort". ^ Irwin 2004, p. 819. Ben-Atar, Doron (1995). "Alexander Hamilton's Alternative: Technology Piracy and the Report on Manufactures". The William and Mary Quarterly. 52 (3): 389–414. doi:10.2307/2947292. JSTOR 2947292. Irwin, Douglas A. (2004). "The Aftermath of Hamilton's 'Report on Manufactures' ". The Journal of Economic History. 64 (3): 800–821. doi:10.1017/s0022050704002979. JSTOR 3874820. Nelson, John R. (1979). "Alexander Hamilton and American Manufacturing: A Reexamination". The Journal of American History. 65 (4): 971–995. doi:10.2307/1894556. JSTOR 1894556. Peskin, Lawrence A. (2002). "How the Republicans Learned to Love Manufacturing: The First Parties and the 'New Economy' ". Journal of the Early Republic. 22 (2): 235–262. doi:10.2307/3125181. JSTOR 3125181. Edward Stanwood, American Tariff Controversies in the Nineteenth Century (1903; reprint 1974), 2 vols.